What a crazy show last night! 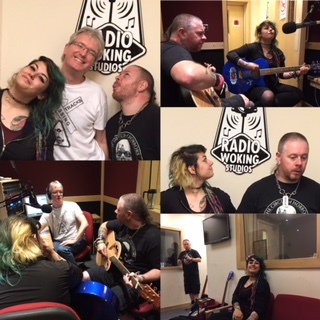 Massive thanks to Gez and Alina from Derby based Ska/Punk band ‘Addictive Philosophy’ for coming down to see us. They played some great live tracks and we really enjoyed their company as you’ll hear if you listen again to the show! F1 fan Alina discovered the McLaren sign on the way home too!